Tyra Williams, who captains Union High School‘s girls’ basketball team, is this week’s Meijer-97.9 WGRD High School Athlete of the Week. 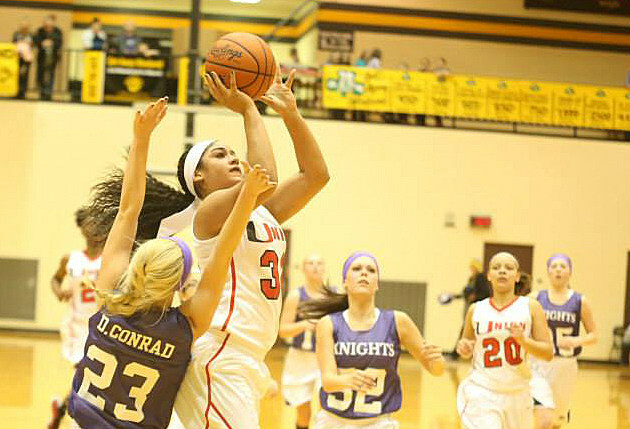 As the 5-foot, 8-inch senior wing player improved her game, so did the Red Hawks. The senior finished her high school basketball career Monday night with 31 points in Union’s 66-53 loss to Muskegon in the district opener. 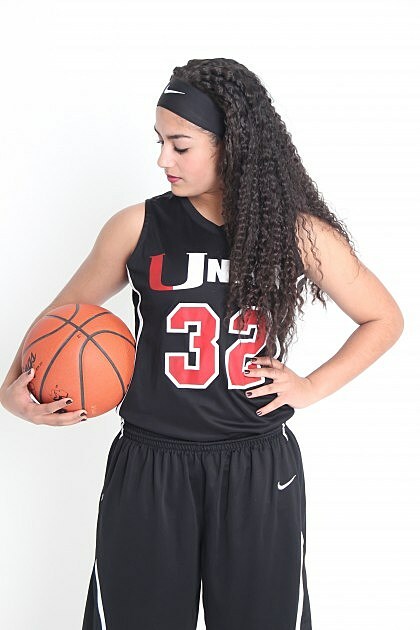 She averaged nearly 20 points, seven rebounds, three assists and four steals for a Red Hawks squad that went 11-7 overall and 5-5 in the Ottawa-Kent Conference Black Division. She had a career-high 35 points in a 67-37 win over Zeeland East on Feb. 13, topping the 32 points she scored against Zeeland East in a Jan. 16 win. It has been a steady progression Williams, who started out at Creston High School in Grand Rapids before it closed. As a freshman, she averaged 10.1 points and 6.5 rebounds. She averaged 12.2 points and seven rebounds as a sophomore and 16.1 points and 10 rebounds as a junior. An all-conference player in basketball, Williams is also an all-conference performer in volleyball. At Union High, she carries a 3.75 grade-point average on a 4.0 scale while carrying a heavy Advanced Placement classload that includes English, psychology, calculus, government and macroeconomics. She also volunteers for elementary school and youth basketball programs in Grand Rapids as well as on other youth-focused activities. The daughter of Amy and Tyrone Williams, she has a younger brother in middle school. She has college plans, but is still deciding where she might attend and play basketball, Lowe said. Congrats Tyra from Meijer and WGRD as well as Channel 95.7, 100.5 The River, 98.7 WFGR and 1410 AM The Touch.